The Dodow Sleep Aid Device is designed to synchronize your abdominal-breathing with a pulsing light in-order progressively take your breathing down from 11 to 6 breaths per-minute hence putting your entire body into an ideal state to fall asleep naturally and in whatever position you like. In fact, it can even operate at a rate of 6-RPM for cardiac coherence exercises that help to maximize stimulation of the baroreflex while the very slow breathing-rate at the cardiac coherence rhythm can actually slow down your metabolism so that your body can be completely relaxed. 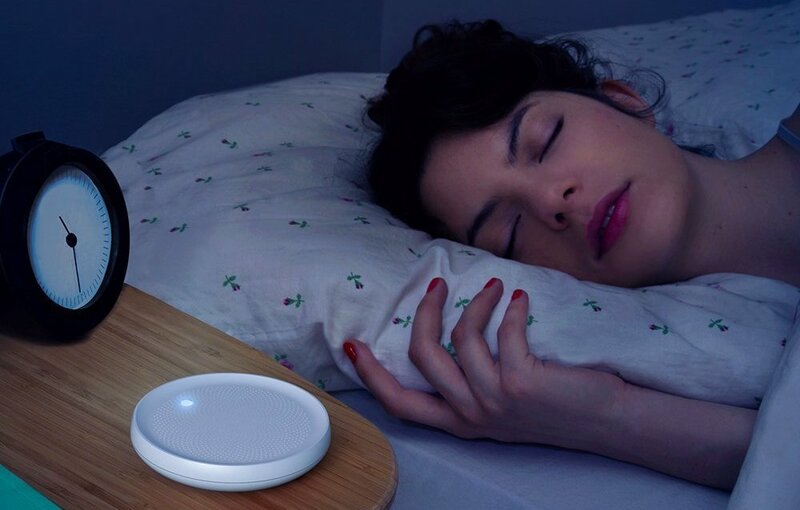 On the other hand, this sleeping-aid-device illuminates a soft blue light with a (brightness < 1 Lux) in-order to allow your body to relax without inhibiting melatonin production. Additionally, you can even choose between the 3 different brightness intensities in-order keep your brain busy with an activity a lot less distracting and exciting than the thoughts that are keeping you awake. 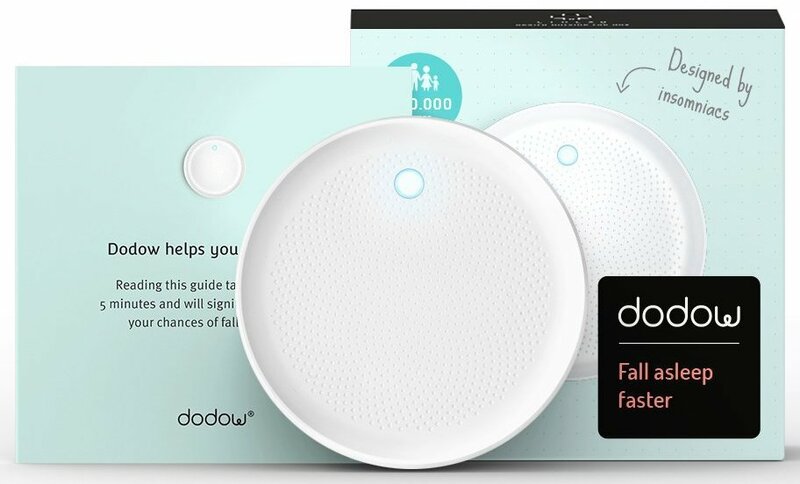 Lastly, the Dodow sleeping aid device is very easy to switch on, simple to use and placed near the bed in-order to make the sleeping process much easier. So, if you’re a kind of person who finds difficulty falling asleep because you lack the power to stimulate an effective relaxation response on your own, then consider buying this sleeping-aid-device so as to improve on your sleeping routine. Recommended for people with ages of 6 and above. A touch-sensitive surface for setting different sleeping-modes. Tap the touch-sensitive surface once for the 8-minute mode. Tap the touch-sensitive surface twice for the 20-minute mode. It automatically switches off at the end of the exercise (8 or 20 minutes). 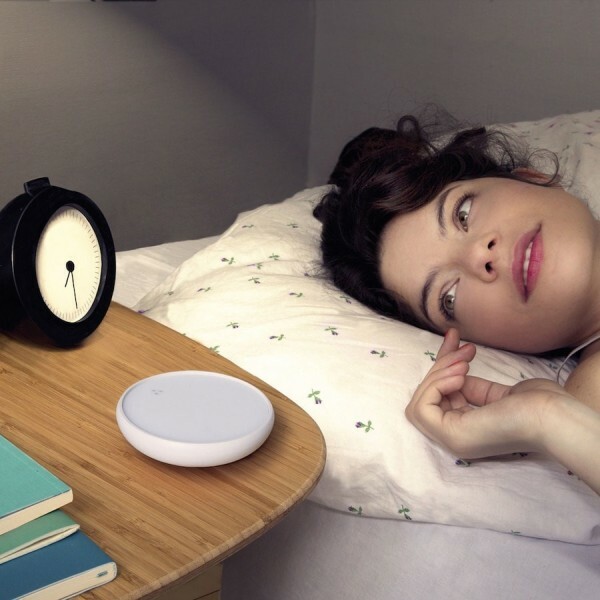 A metronome with a light-system that teaches you how to fall asleep naturally. Helps you sleep in less than 25-mins & gets you around 100 more hours of sleep per year. Great for people with difficulties getting asleep, troubled thoughts, stress, restlessness, chronic, insomnia, etc. 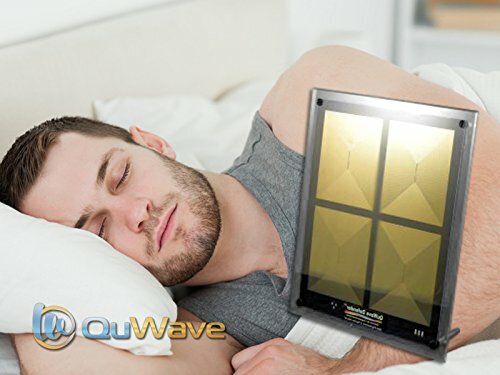 The QuWave Dreamer is an electronic Sleep-Aid device that produces waves at Brain Frequencies in-order to promote deep sleeping and a regular sleeping rhythm. In fact, it’s designed to tune your brain into Delta & Theta states to make you feel drowsy, fall-asleep and get into deeper REM sleep which leads to improved health and happiness. Additionally, the Dreamer can also be used for meditation because it produces Delta and Theta waves that are commonly used during relaxation and meditation. 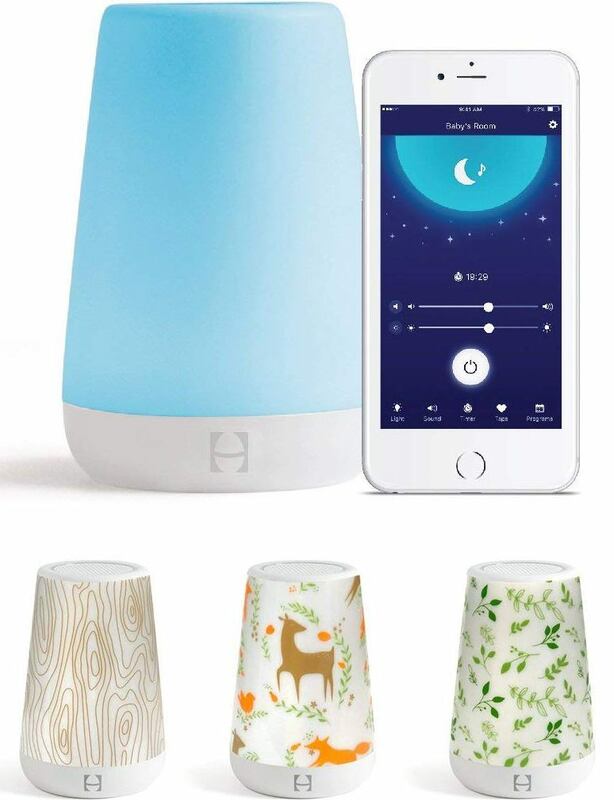 On the other hand, it’s recommended to leave this device plugged-in and turned ON all the time so that you can always find your entire home turned into a more relaxing environment that is just perfect for achieving emotional-balance and positive-energy. Lastly, the Dreamer generates a field in all directions with a diameter of about 100-feet which implies that the closer you get to the unit, the more you will be within the well-being field. An Electronic Energy Sleep-Aid Device. Uses Delta-Waves to help you fall asleep faster. Uses Theta-Waves to promote deep REM sleep. It can also be used for meditation purposes at home. It generates a field in all directions with a diameter of about 100-feet. Helps you fall asleep faster, naturally & achieve deeper, more restful sleep with reduced anxiety & mental/physical Insomnia. Helps you sleep through whole night without waking so that you can wake-up in the morning with a Sharp, Rested, Energetic & Balanced body and mind. 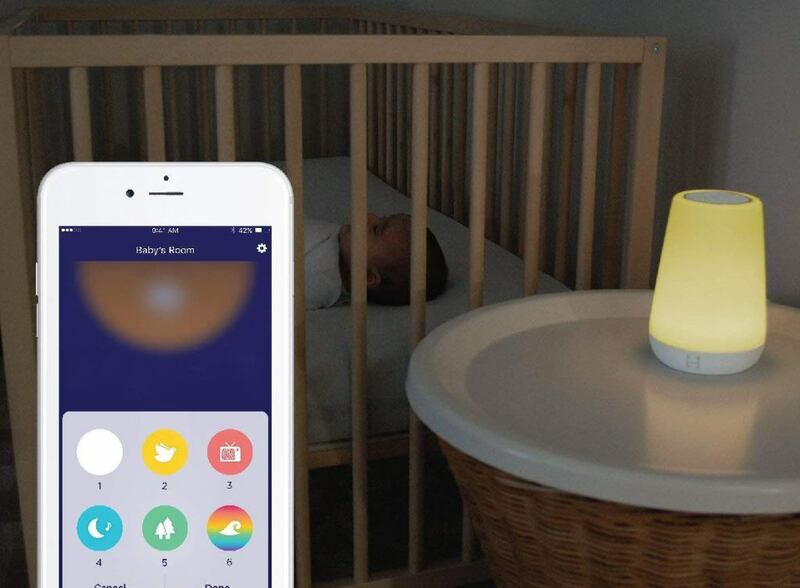 The Hatch Baby Rest is a Night Light, Sound Machine and Time-to-Rise device designed to promote healthy circadian rhythms and melatonin production with white noise in-order to aid faster sleeping in infants. In fact, this sleeping aid device is fully customizable, programmable and can even be controlled from your Smartphone. 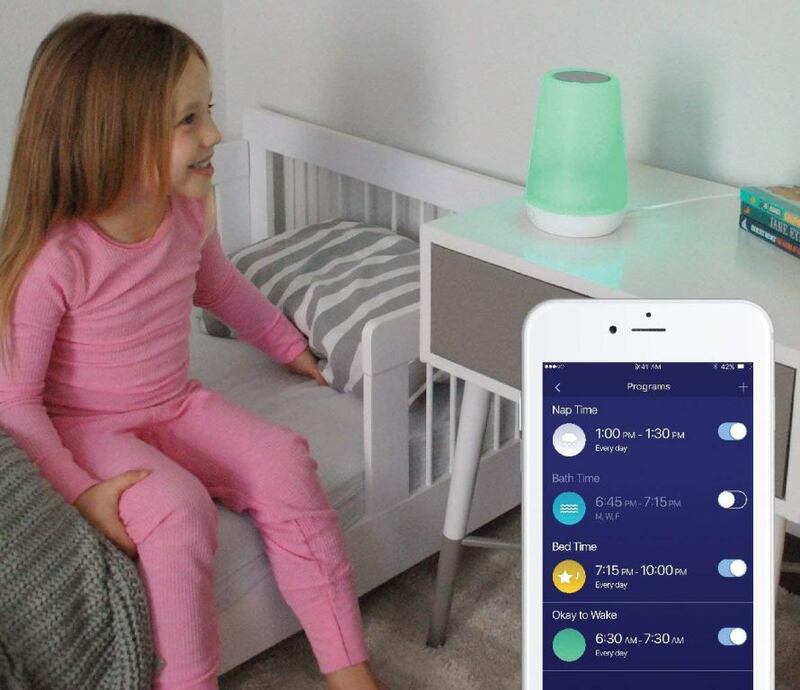 On the other hand, this sleeping-aid-device grows with your kid by simply providing a soft-light in middle of the night for diaper-changes and nursing-sessions for babies and then provides an alert for toddlers when it’s time to get out of bed in the morning. Additionally, this device comes with a set of 3 coverlets to use for customizing your infants’ Rest. All in all, the Hatch Baby Rest device will help your little family achieve a better night’s rest that leads to improved health. It combines a nightlight, sound-machine & time-to-rise alert. Easy-to-use & can be controlled from your Smartphone at house. It can be tapped on manually in-order to make any adjustments. It features customizable colors, brightness, sound & volume levels. It features a Hatch Baby Rest app for easy remote control when away from home. It can be set to automatically turn off/on basing on your family’s sleep schedule. It’s equipped with a toddler lock feature & stays cool throughout the night for safety. It grows with your child from infantry, toddler-level to preschooler-level & even features a time-to-rise setting for your older children. This Anti Snoring Chin Strap/device is made of high quality medical soft and comfortable fabric that won’t cause allergies and itchiness against your face while sleeping. On top of that, this Anti Snoring Chin Strap doesn’t contain any Peculiar Smell and it will ensure that achieve a comfortable sleeping routine without snoring. 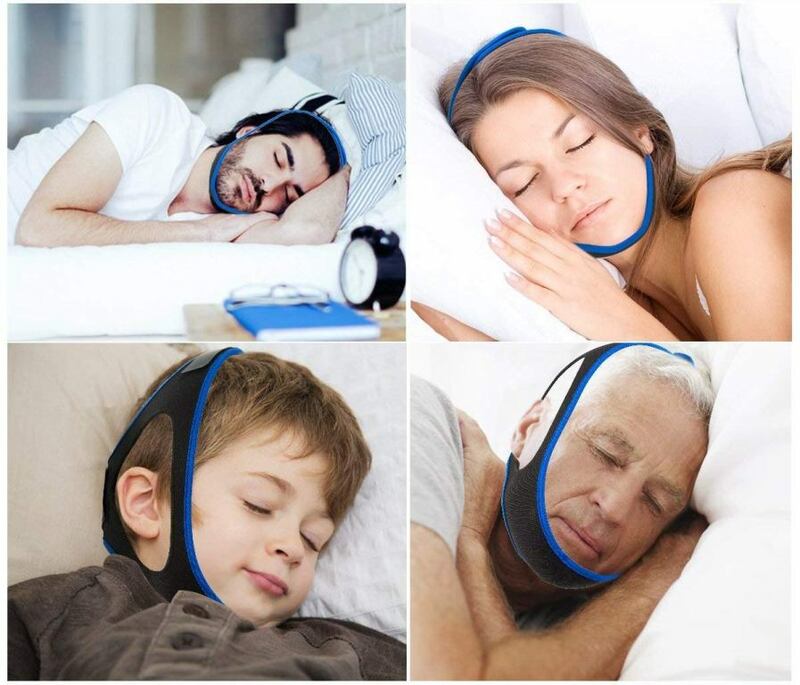 Additionally, this Anti Snoring Chin Strap is very breathable and it’s equipped with 4 fully wide adjustable Velcro straps that facilitate for perfect adjustment of size and tension in accordance to your needs while the 3 other Velcro sticky buckles ensure that the straps are well-secured when sleeping. Likewise, this Anti Snoring device features a 3-dimensional, ergonomic design that perfectly matches with your face and even makes the strap stable and without slippage while the Triangle-design can solid fix throughout the night without sliding-off. 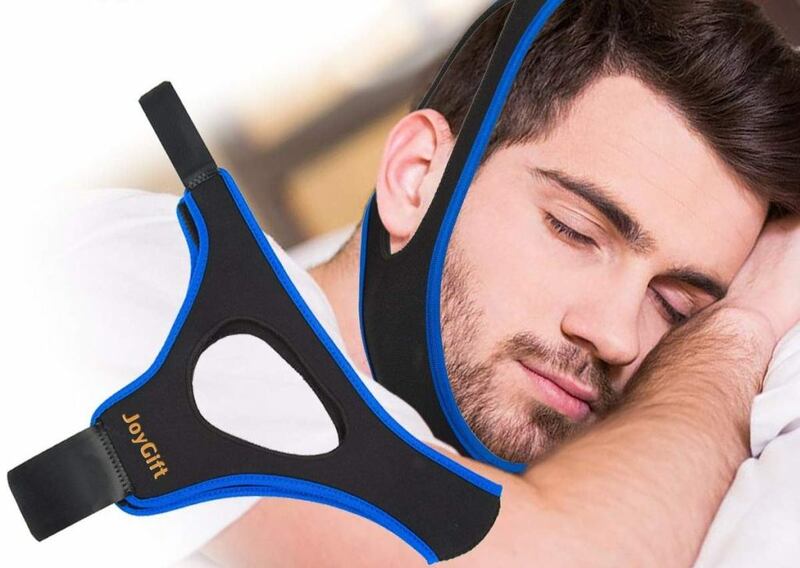 Additionally, this anti snore chin strap will perfectly keep your mouth closed so that you can breathe through your nose all night thus improving on your sleep quality while preventing snoring. It’s an Anti Snoring Chin-Strap Device. Made of high quality medical soft & comfortable fabric. It’s well-ventilated and breathable for optimum comfort. It won’t cause allergies, itchiness & doesn’t produce any Peculiar Smell. It features a 3-dimensional, ergonomic design that perfectly matches your face. It features 4 fully wide adjustable Velcro straps for adjustment of size and tension. It features a triangle-design that can solid fix throughout the night without sliding off. It perfectly keeps your mouth closed for improved sleep quality without snoring all night long. The H-Fun Snore Stopper is a Smart Anti Snoring Device equipped with Bluetooth Technology that records and analyzes Sleep-Data while the Eye Mask Style Snore Guard helps to cover your eyes when sleeping in high-light environments and even feels very comfortable to wear. 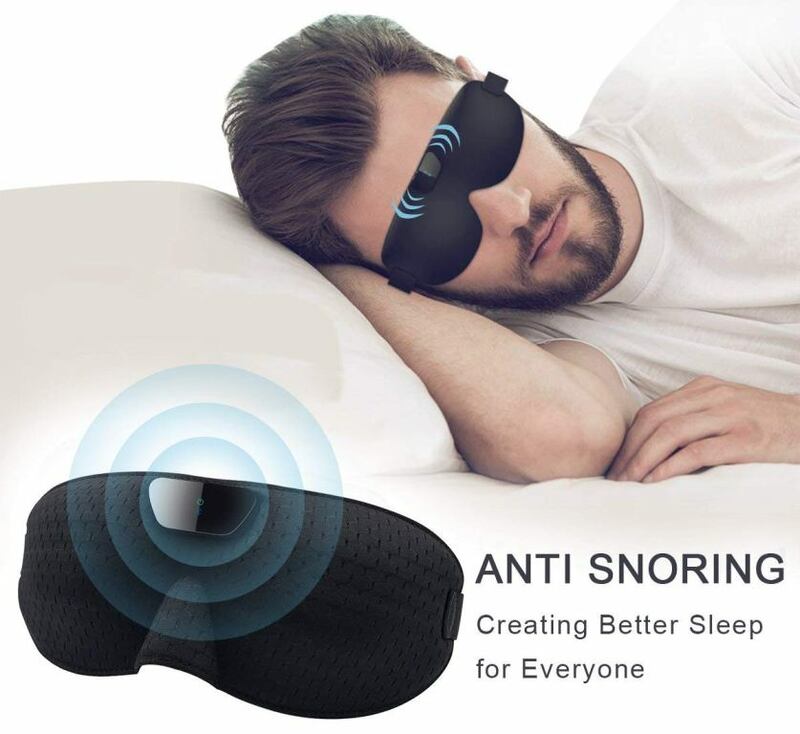 On the other hand, this smart Snore Stopper can precisely detect and identify snore sounds through bone-conduction and sounds recognition technology and then delivers a gentle tiny vibration in-order to stop snoring with non-perceived physical intervention thus helping you solve any snoring problems with smart-technology. On top of that, this Anti Snoring Device can easily be connected to your cell-phone through Bluetooth technology for easy control and adjustment of working-modes on your Smartphone using a special-App that also offers an intelligent analysis function, records and tracks your sleeping and even provides graphical presentation of data for analysis in your snoring diary. Likewise, this Smart Anti Snoring Device features 36 levels physical intervention (automatic or controlled) which are very helpful for both slight snorers and severe noise-makers. In fact, the intensity and sensitivity of physical intervention can be easily adjusted using the Smartphone-App which also activates the snore-stopping delay function that works after you fall asleep. On top of that, the eye mask design allows you to put on and take off the device easily while enabling you to sleep comfortably in any gesture you prefer. 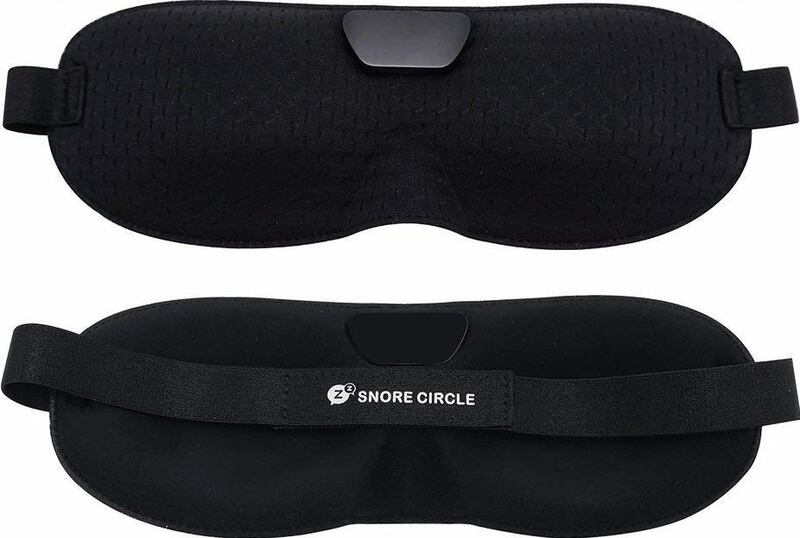 In fact, this eye-mask is only 15.5g and just as light as any normal eye mask while the integrated rechargeable battery allows you to use this device anywhere from hotels to planes. It’s a Smart Anti Snoring Device. 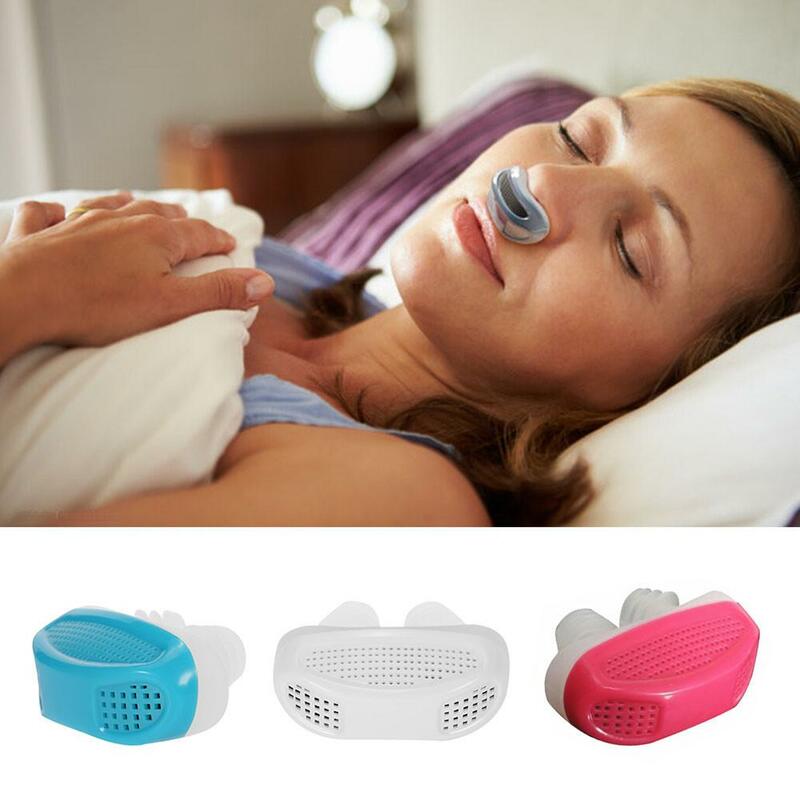 Stops Snoring Naturally and Instantly. It features 36 levels physical intervention (automatic or controlled). It features Bluetooth Technology that Records & Analyzes Sleep Data. Activates the snore-stopping delay function after you fall asleep for personalization purposes. Easy adjustment of the intensity and sensitivity of physical intervention by the cellphone App. It delivers a gentle tiny vibration to stop snoring with non-perceived physical intervention. It can precisely detect & identify snore sounds through bone-conduct & sounds recognition technology. It can be connected to your Smartphone using Bluetooth technology for easy control & adjustment of working modes. 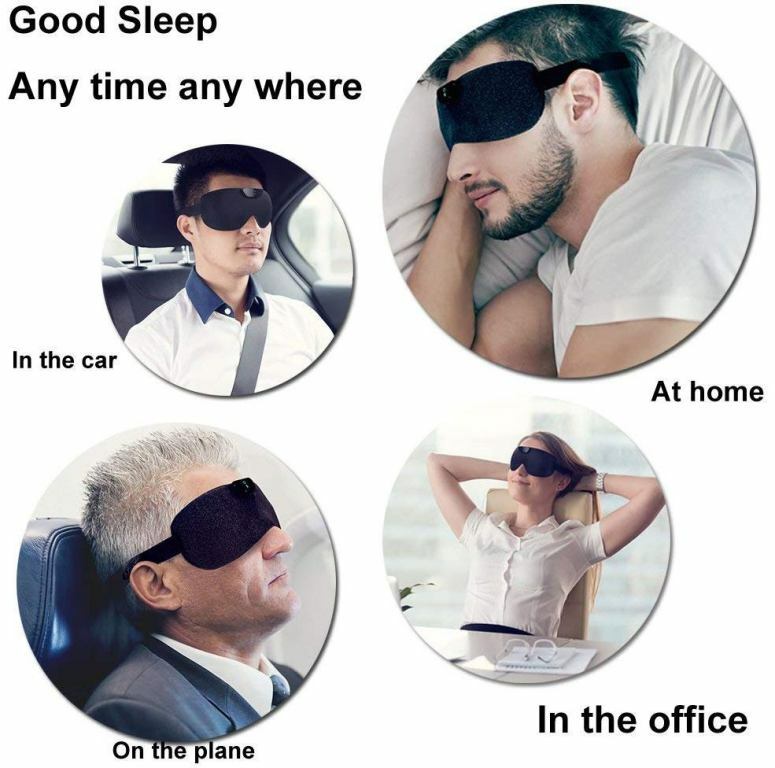 A comfortable eye-mask design that allows you to put on and take off easily and weighs only 15.5g just like normal eye-masks. A built-in rechargeable battery that allows you to use the device form anywhere whether at home, in a hotel or on the plane. It features a lifetime free App that offers an intelligent analysis function, records & tracks your sleeping & provides graphical presentation of your data. All the featured Sleep-Aid and Anti-Snore Devices are designed to help you sleep naturally without using any sleeping-pills in 2019. So, if you have been having trouble falling asleep because you lack the power to stimulate an effective relaxation response on your own and when you snore a lot while sleeping, then you should consider getting at-least one of these sleeping-aid-devices so that you can improve on your sleeping habits.